At Bellevue Nursery, we believe the secret to great gardens is great soil. Soil is not just an anchor that holds plants in the ground, but a perfectly balanced world full of living organisms. Sometimes nature needs a little help with restoring soil to its natural fertile state. Nutrients, pH, soil tilth and structure may be affected by construction, cultivation and other environmental changes. Amendments are additions to your garden/growing medium which alter the physical, chemical, and/or biological properties of the soil. We offer premium natural and organic soils and amendments that are designed to restore the health of your soil, whether it be sandy, heavy clay, too acidic, too alkaline or just plan depleted. Amendments like Harvest Supreme (fka Bumper Crop) and Planting Compost help to enrich the soil, increase microbial activity, and improve soil texture. Soil Building Conditioners are ideal for breaking up heavy clay soil and are perfect for top-dressing or mulching. Not only will it look good, it will do good! Potted plants “use” the soil in their pots more intensively than the same plants growing unrestrained in the ground. 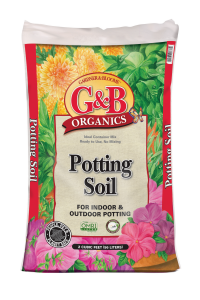 Unimproved dirt from the garden – or plain topsoil from a bag – does not have sufficient nutrients, may be full of bugs and is too compacted for root growth and moisture regulation. 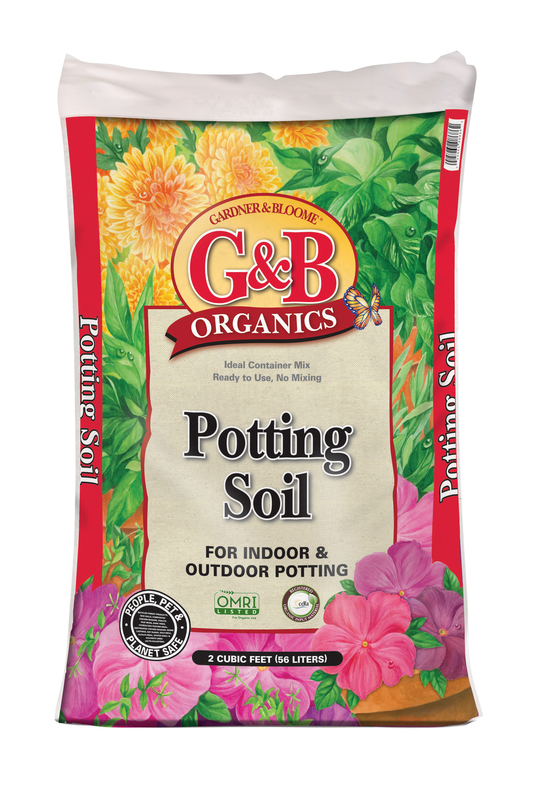 Our natural and organic potting soils are rich and loamy; a premium choice for all-purpose indoor/outdoor container gardening. We also offer special mixes for specific types of plant needs. Seedling mixes are designed to encourage high germination rates and easy transplanting. They are double-screened formulated with an organic wetting agent to ensure uniform water penetration and a fine texture. Cactus mixes are leaner with better aeration. They are designed for quick drainage, a must for cacti and succulents. We know your planting needs extend beyond soil, so we also offer decorative mosses, rocks, colored sand and tumbled glass to dress up your container plants. Go from plain to pretty!